David L. Kipp is in his twenty third year as the thirteenth director of the Texas A&M University Singing Cadets. Kipp uses his experience in musical theater, voice, and choral direction to help the Singing Cadets perfect music for its one-hundred plus concerts each year. He also lends his baritone voice to the group on occasion and performs solos in full Singing Cadet concerts. Kipp received a Bachelor of Music degree in voice and choral conducting from Baylor University and a Master of Music degree in choral conducting from Southwestern Baptist Theological Seminary. He performed in many choral and vocal activities, led many campus activities, and was selected by Baylor faculty as the outstanding Baylor student his sophomore and senior years. The School of Music also honored him as the outstanding Music Major his senior year, and he served as the Baylor Bear Mascot Trainer for three years attending 50+ football games with a live North American Black Bear. His love for students led to his appointment as Co-Director of Welcome Week–the freshman orientation program. After Kipp’s undergraduate and graduate training he made his conducting debut at Carnegie Hall and at The Kennedy Center in 1996 during his inaugural year with Texas A&M University. Groups Mr. Kipp has conducted have performed at many major venues on six continents and have recorded twenty-three professional recordings. The Texas A&M Singing Cadets under Kipp’s direction perform more than any other collegiate choir in the United States. Appearances have also included numerous television appearances and command performances by Honorary Singing Cadets President and Mrs. George H.W. Bush. 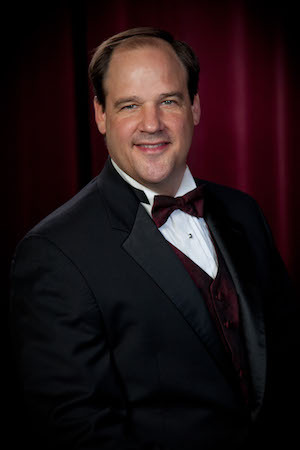 In addition to directing the Singing Cadets at Texas A&M University, Kipp is the Director of Choral Activities which includes the Century Singers (male and female chorus) and the Women’s Chorus (all-female chorus). He has been Director of Music for many churches in Texas and has presented numerous personal concerts. Kipp has adjudicated many choral contests and has served as a clinician at many choral events. Kipp is a member of the Texas Choral Director’s Association, the American Choral Director’s Association, the Texas Music Educators National Conference, and the Music Educators National Conference.